One of the most contested aspects of Lutheran theology when talking to people tends to be the concept that infants have faith. Luther vigorously upheld the ancient practice of infant baptism against the anabaptist movement, and also sought to uphold baptismal efficacy. An objection which he often encountered was that since salvation is by faith alone, how can baptism save an infant, who does not yet have faith? Rather than answering the question in the way that Augustine does, wherein a parent's faith or the church's faith is imputed to the child, Luther argued that infants do indeed have faith. 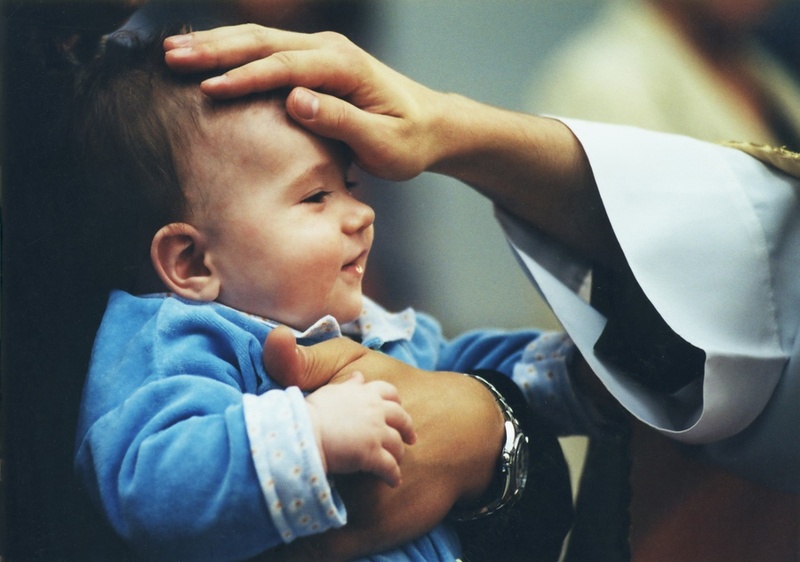 In opposition to what human reason might suppose, infants can have faith. The Biblical testimony on this is clear. Look for example at Psalm 22. In this Psalm, David discusses his faith, and in doing so references the fact that he had faith at a time when he was still nursing. How is this possible? The answer is just as clear, "you made me trust you." In Reformation theology (and all Augustinian theology for that matter)faith is a gift of God. It is not a human achievement, not something that one chooses out of a free will. If this were so, then infant faith would be impossible. But according to a monergistic scheme, faith is a divine gift, a divine work through the operation of the Holy Spirit. This being the case, why is it not possible that God could do such a work for an infant? To argue otherwise seems to imply that there is something necessary in a person for faith to be a possibility. This is in opposition to Reformation theology. Peter Leithart makes the argument that infant faith is proven by the fact that we talk to infants. If we spend time talking to infants, and interacting with them, we do so because we know that they have an awareness of others. However limited that awareness might be, it is apparent. Are we, as Christians, willing to say that this is the case with other human beings but not God? Is not the reality of God even more apparent and real than that of creation? An infant has to constantly look outside of themselves to receive help; they look to others to get food, to move to where they need to be,and for every type of sustenance in life. Is this not precisely what faith is? Looking to one outside of ourselves as helpless creatures? Just to make this more clear, look at a couple more passages. First, look at the example of John the baptist. Luke writes, "And when Elizabeth heard the greeting of Mary, the baby leaped in her womb. And Elizabeth was filled with the Holy Spirit" (Luke 1:41) John clearly had faith even before birth. It might be objected that this is not a valid example because of John's unique place in redemptive history. This may be the case, but what it does demonstrate is that infant faith is a possibility, not an absurdity. "At that time the disciples came to Jesus, saying, “Who is the greatest in the kingdom of heaven?” And calling to him a child, he put him in the midst of them and said, “Truly, I say to you, unless you turn and become like children, you will never enter the kingdom of heaven. Whoever humbles himself like this child is the greatest in the kingdom of heaven. This text demonstrates that children can and do believe at a young age. The greek term used here "παιδία" usually has reference to an infant or young child. This text is significant because it uses the term "βρέφη" which refers to infants rather to children in general. Jesus plainly admits in this text that infants can obtain the kingdom of God. How does one obtain the kingdom of God? Through faith. Some might argue that this is an invalid argument because the point Jesus is making is not about infant faith and salvation, but about humility. He is using a child merely as an illustration. Even if this is the case, this does not negate the fact that the illustration is real. Even is he is primarily making the point that becoming like a child is necessary to enter the kingdom, this is only the case because children indeed do have faith. He says that "to such belongs the kingdom of God." This includes both infants and those who approach God with childlike faith. Thus it is apparent that infants can have faith. There are numerous examples of this such as in the case of John the Baptist and David. This is clear due to the nature of faith as a gift. If faith as a divine act of the Spirit, surely it can be applied to infants. Finally, this is demonstrated by the fact that Jesus says that infants and small children can have faith and enter the kingdom of God. Jordan, I have a sermon manuscript written about a dozen years ago that makes much the same points, using much the same texts. John the Baptist was born again before he was born. While Calvinists do not necessary presume regeneration for baptized infants (some, like Abraham Kuyper, did), Calvinists do teach that regeneration and faith can indeed thrive in an infant. The relationship of implicit trust that an infant has with the mother suggests as possible a similar relationship of implicit faith in the triune God. The Westminster Confession of Faith 10.3 also asserts infant regeneration. In this regard, Psalm 71, especially vss 5-6, is a compelling text. Do you not see Psalm 22:9 as referring to Jesus? I work with mentally disabled students, who often do not receive the gift of baptism because they are so called "not able to understand" to believe. I hate that they are denied this means of grace, because believe me ---they ARE sinners! Phil- The Christological Psalms are typological. This means that they are describing the life of the Psalmist himself (in this case David) but also serve as a picture of the crucified and risen Christ. David's sufferings in Psalm 22 are real, but are a picture of Christ's sufferings which is the ultimate fulfillment of this text. Luther is right and any good Calvinist should agree with him. Far too many people think saving faith means being able to make certain intellectual propositions or statements. No faith for the severely mentally handicapped or infants. Then we wind up with the unbiblical weirdness which is the "age of accountability." If an infant can trust and find comfort in the voice of its fallen mother how can that same infant not find trust and comfort in the voice of our heavenly father? "Who can doubt that those Israelite children who died before they could be circumcised on the eighth day were yet saved by the prayers of their parents in view of the promise that God willed to be their God. God has not limited his power to the sacraments, but has made a covenant with us through his word." "Are the children of believers who died before birth or in birth damned? By no means, but since our children, brought to the light by divine blessing, are, as it were, given into our hands and at the same time means are offered, or it is made possible for the seal of the covenant of grace to be applied to them, there, indeed, that very solemn divine statement applies: The man-child, the flesh of whose foreskin is not circumcised on the eighth day, his soul shall be blotted out from [his] people (Gen. 17:14). Hence the Lord met Moses on the way and wanted to kill him because he had neglected to circumcise [his] son (Ex. 4:24-26). But when those means are not given us--as when in the Old Testament a male died before the eighth day of circumcision--likewise when they, who, born in the desert in the interval of 40 years, could not be circumcised because of daily harassment by enemies and constant wanderings, died uncircumcised, (Jos. 5:5-6) and when today infants die before they are born--in such cases the grace of God is not bound to Baptism, but those infants are to be brought and commended to Christ in prayers. And one should not doubt that those prayers are heard, for they are made in the name of Christ. (John 16:23; Gen. 17:7, Matt. 19:14) Since then, we cannot bring infants as yet unborn to Christ through Baptism, therefore we should do it through pious prayers. Parents are to be put in mind of this, and if perhaps such a case occur, they are to be encouraged with this comfort." (An Enchiridion, by Martin Chemnitz, Page 119, CPH St. Louis 1981)"
David, Amen to both comments. Most of the Baptists I grew up with believed that if a child died before they had an opportunity to reject Christ (age of accountability), they would be in heaven. Of course this fails to seen that apart from the grace of God, we all reject Christ from infancy; we don't wait for some later opportunity. At least that is the kinder, gentler version. I once knew a Calvinistic Baptist who firmly believed that any child that died before they were able to personally express faith would be in hell; all infants, and all people so severely disabled that they would never be able to have "faith" in this legalistic sense would be in hell. How much better the quotes from Luther and Chemnitz.
" 'But there is a danger that he who is sick may be deprived of the gift of regeneration if he decease without baptism!' By no means. Our children, before they are born, God declares that he adopts for his own when he promises that he will be a God to us, and to our seed after us. In this promise their salvation is included. None will dare to offer such an insult to God as to deny that he is able to give effect to his promise." Here you go: "Luther never based the validity of infant baptism on the presence of faith in the infant, although he did for a time argue that such faith existed. Infants are to be baptized, not because it is clear that they believe but because it is in accordance with Scripture." Hans Schwarz. And of course, I would say, it's not in accordance with Scripture. The point being, that a major Luther scholar argues that Luther really didn't believe in infant faith." Based on the quote Schwarz is not saying that Luther didn't believe in the capacity of infants to have faith but rather that this belief regarding infant faith was not his basis for baptising infants. This Calvinist agrees both that infant faith is possible and that it is not our basis for infant baptism. But that argument really does sound Baptistic (speaking as someone who spent around 40 years in those parts). In Singapore where Baptist theology is dominant, the Lutherans and Reformed are often challenged to defend infant baptism and baptismal regeneration. Our Lutheran theology study group in Singapore is now working on a paper in defense of infant baptism to be published in a local theological journal. Our chief theologian Rev Samuel Wang's main strategy is to show that baptism actually does something on the one being baptised and is not just a sign or symbol. Strangely we discovered that the Baptist scholar Beasley Murray in his book "Baptism in the New Testament" actually agrees that the Lutherans have a valid understanding of baptism and what it does! That is, something invisible and "drastic" does happen to the one being baptised. I find it very odd that so many Christians actually believe that Christ is alive and lives in their hearts. But yet they have such trouble with the notion that God can actually be present in a bowl of water, accompanied by His Word. This was such a helpful post, Jordan. I've used it to try to help people see the very truths you wrote here. Thank you for it!